The City Council approved a shortened agreement to keep buying from Hillsboro in the meantime. Starting next month, Cornelius will see a 9.2 percent bump in its water rates courtesy of the City of Hillsboro, which is the wholesale water provider for its smaller neighbor. But Cornelius officials say they are actively looking into alternatives to continuing to buy water from Hillsboro, as the city has done since 1941. "We've been working hard, especially the last five years, searching for a water source … and to ultimately allow us to have our own water source, ultimately reduce the price, and have the community become more independent and build a strong financial base," said City Manager Rob Drake at a Monday, Jan. 7, meeting of the Cornelius City Council. City officials have long been concerned by Cornelius' lack of control over its water rates, with some openly fretting that the rising rates may scare off potential employers who might otherwise put down roots along the Highway 8 corridor or in the city's largely undeveloped northwestern industrial district. "It does tend to be a wet blanket for some developers when they see the combined costs," Drake told the News-Times in an email, noting that Cornelius also has high system development charges in part because it is hooked up to Hillsboro's water system. "Recently, a large housing firm said they didn't want to pay the combined SDCs here in Cornelius." Language in a Cornelius City Council resolution approved Monday states that the city "believes it is in the best interests of Cornelius ratepayers to explore alternative options to provide less expensive water to customers and become more competitive with other cities." Drake said that while Hillsboro has been responsive to issues and he has a high opinion of the city's leadership, "it doesn't change the price we're paying and the fact that we don't control our future fate." "Their service has been good, but I think everyone's paying through the nose for it," Drake said. "I can't think of any more subtle way to say it." Unlike neighboring Forest Grove, Cornelius does not own any watershed property in the Oregon Coast Range, nor does it have its own water wells like nearby Banks, nor does it have its own water rights on the Tualatin River or at Henry Hagg Lake. However, Drake noted, the Cornelius City Council did move last year to put down $3.1 million for water rights on the Willamette River. If Cornelius were to develop those rights, it would be entitled to use up to 5 million gallons of water per day in Willamette water. 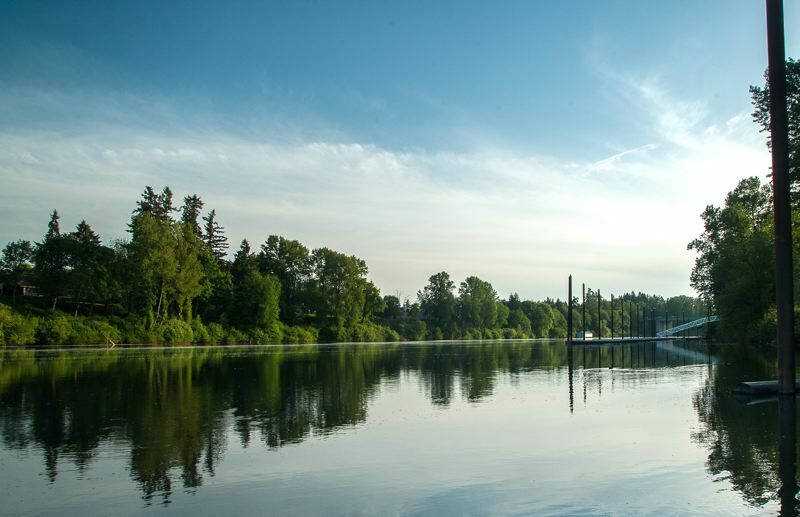 Ironically, Hillsboro is currently working to develop its own Willamette water rights jointly with the Tualatin Valley Water District, which provides water throughout much of the Beaverton area and in parts of Tigard. The Willamette Water Supply Program is, by many metrics, the single largest infrastructure project in state history — and unsurprisingly, its construction is a major driving factor behind Hillsboro's water rate increases, which are also affecting Hillsboro residents and businesses. Kevin Hanway, director of the Hillsboro Water Department, said the WWSP is being engineered to anticipate both the combined needs of Hillsboro and the Tualatin Valley Water District as well as the current and future needs of Hillsboro's water customers, including Cornelius. "It does account for expansion and supply," Hanway said. Hanway said he is aware, however, that Cornelius officials are unhappy with the ever-climbing water rates being set by the Hillsboro Utilities Commission. "We've been in communication with all of our wholesale customers, and Cornelius has expressed concerns about that," Hanway said, noting that Cornelius city representatives were involved during a water rate study last year that led to the current increases and had a chance to see Hillsboro's math. On Monday, the Cornelius City Council approved an extension to its agreement to purchase water from Hillsboro, but with a caveat. The city requested that the agreement expire at the end of 2022, instead of running the usual five years and ending in 2023. The Hillsboro Utilities Commission approved the four-year extension at its meeting the following day. If Cornelius does not find an alternative water supply, it will likely remain a wholesale customer of Hillsboro water past 2022. The modified agreement includes language that would automatically renew it through 2027, with the possibility of another five-year extension after that. In the meantime, though, Drake indicated that Cornelius officials are serious about looking at other options. "Since our contract rolls over every five years, we'll be in the process the next couple years of looking really hard about the direction is for us to go — whether we partner with someone else, whether we become a customer of someone else with our own water right," Drake said. "There are multiple opportunities out there."